I love fabric, sewing and quilting. You can see that under „Gallery“. All these quilts are designed and made by me. 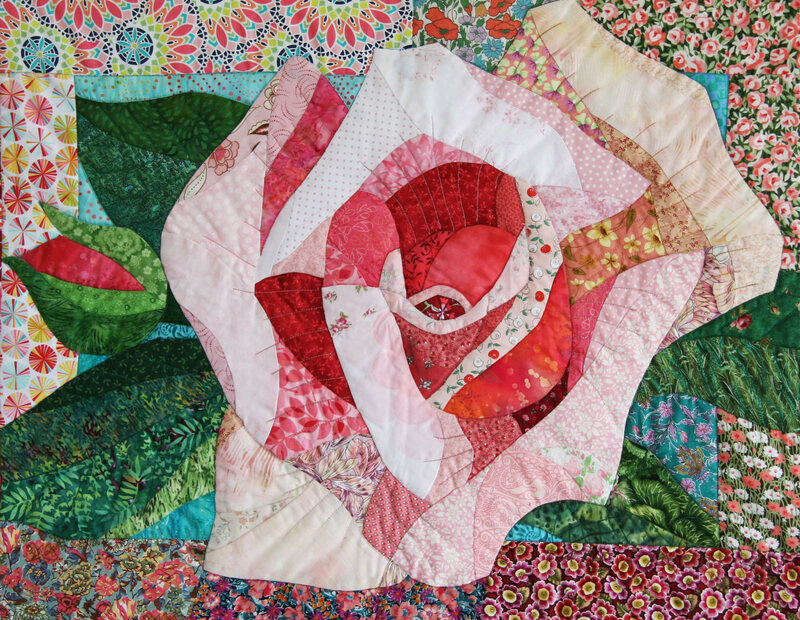 You can learn this way of patchwork by attending one of my workshops or you buy a pattern and work by yourself. I´m looking forward to getting a message from you. In the summer the great sunflowers turn their heads to the sun. You can have them in many variations of size and yellow. In the background I tried show the shiny blue and the light of the summer sky. A pattern of this quilt is available in full-size. In summer the great sunflowers turn they heads to the sun. You can have them in many variations of size and yellow. In the background I tried to show the shiny blue and the light of the summer sky. Pattern of this quilt is available in full size. 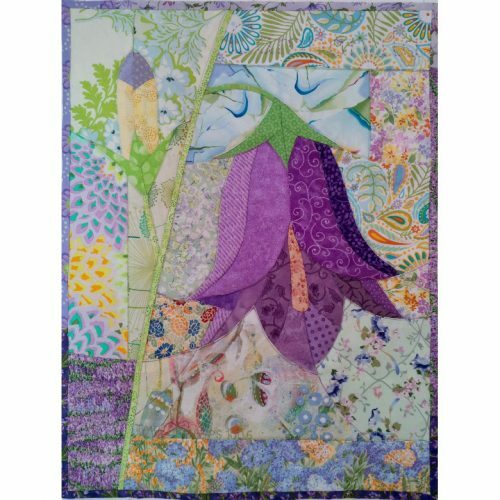 A pattern of this quilt is available. 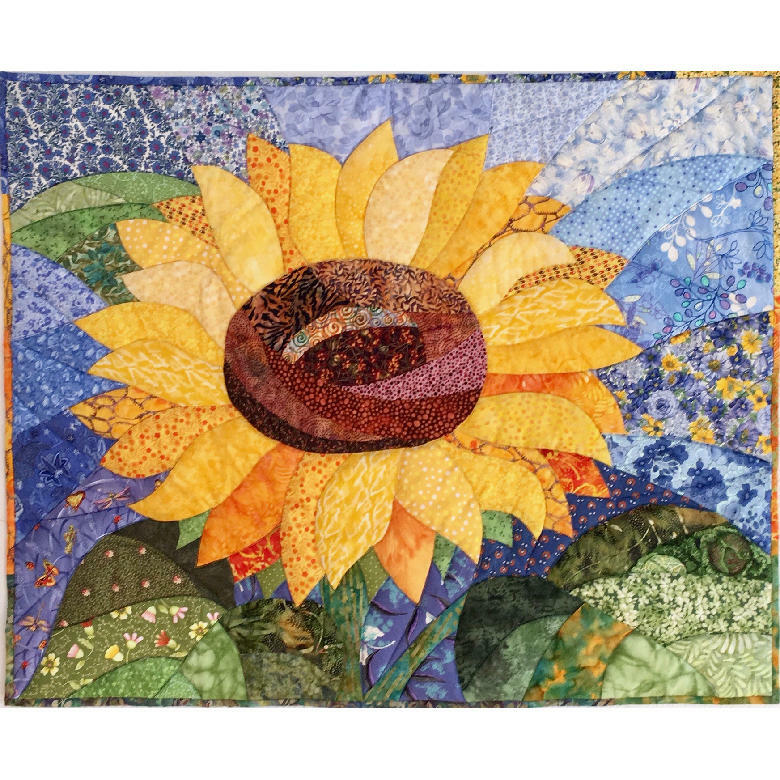 You can find this sunflower on Facebook “Burda- Patchwork”.